The fall season can be rough for many wild animals, as food sources become harder to locate and the climate becomes less hospitable. This is why it is not uncommon to catch a wild animal going through your garbage or even trying to enter your house during the fall season. While it may be aggravating to catch a wild animal rummaging through your garbage, their cute appearance makes it hard to stay mad at them. 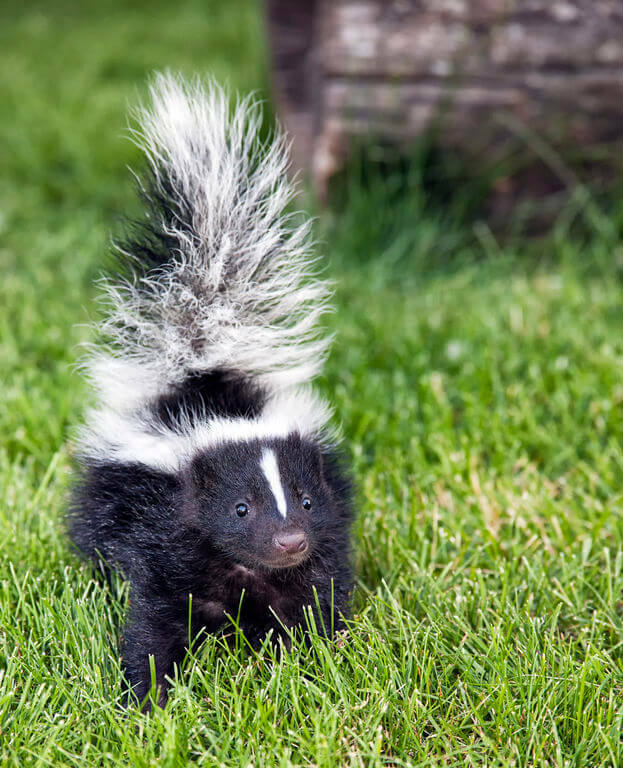 Then again, when it comes to skunks, many people may have a less than kind attitude toward their shenanigans considering the foul odor that follows them everywhere they go. However, one wildlife group is coming to the defense of skunks that have been caught red-handed while searching through dumpsters for food. 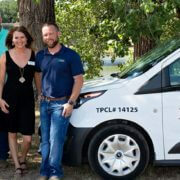 This group is called the Critter Care Wildlife Society and they are currently pressuring dumpster owners into taking measures to prevent skunks from becoming trapped within the dumpsters’ drainage hole. In Vancouver, British Columbia new garbage dumpsters were issued to residents, but an apparent design flaw is causing skunks to become trapped within the dumpsters’ drainage hole. The wildlife group is urging people to make their new dumpsters inaccessible to skunks and other wild animals after a fourth skunk became trapped in just a two week period. According to Nathan Wagstaffe, an animal care supervisor, it is unusual for skunks to become trapped in dumpsters this often, and the reason is clearly due to the dumpster’s new design. This is not to say that it is rare for skunks to become trapped, as animal care units are sometimes tasked with removing skunks that have become trapped within ice cream tubs or coffee cups. The new dumpsters have drainage holes that are just wide enough for a skunk to poke its head out, but not wide enough to accommodate its whole body. Rescuing the trapped skunks is also time consuming, as one trapped skunk only became free after firefighters spent five hours removing it from a drainage hole. In fact, each rescue has required the services of the fire department, and on two occasions a grind saw was required for removing the skunks. Sadly, one of the four skunks died from injuries that it had sustained shortly after being released from a drainage hole. The wildlife group is hoping that a wire mesh covering will be installed over the drainage hole of future dumpster designs in order to prevent such tragic incidents from occurring in the future. Have you ever come to the rescue of a wild animal that needed help? 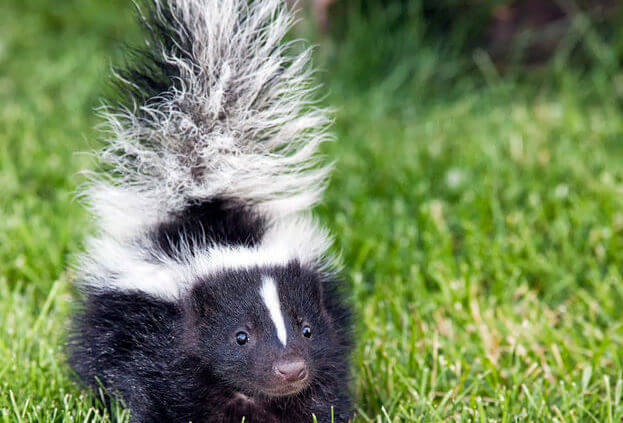 How Are Humans Affected By A Skunk’s Defensive Spray?